The Meguiars Mix/Dispense bottle lets you buy your boat cleaning and boat care products in bulk, use as you need them, and save some cash at the same time. All sprayers are sold separately. OSHA compliant. 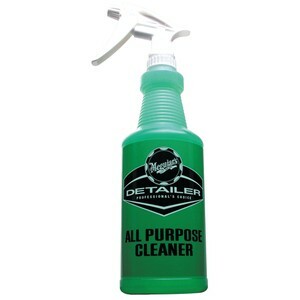 The Meguiars All Purpose Cleaner Spray Bottle lets you buy your boat cleaning and boat care products in bulk, use as you need them, and save some cash at the same time. All sprayers are sold separately. OSHA compliant.